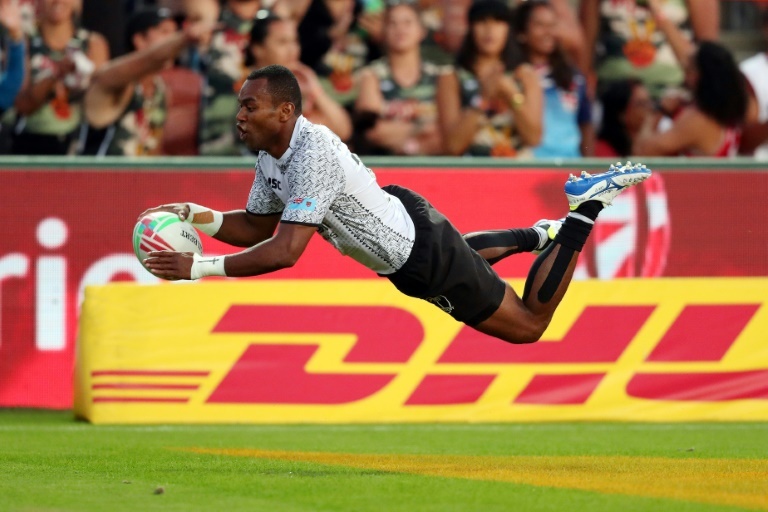 RUGBY NEWS - Fiji whipped the United States 38-0 in a six-try rout Sunday to take the New Zealand Sevens crown and draw level at the top of the world series rankings. Fiji were never seriously challenged from the time Jerry Tuwai opened the scoring from a lineout steal in the second minute. Waisea Nacuqu and Aminiasi Tuimaba also scored in the first half for the defending New Zealand champions to lead 17-0 at the turn. Alosio Naduva notched two tries in the second half and Tuwai bagged his second while the US were left scoreless. Fiji came through Sunday's knockout matches with a 31-7 win over Canada in the quarter-finals before beating South Africa 29-7 in the semis. The US team, which is shaping up as an emerging power in Sevens rugby, had a 19-14 win over Scotland in the quarters. They then came from behind to beat hosts New Zealand 17-7 on the back of a one-man advantage after Regan Ware was yellow-carded for a dangerous tackle. Fiji and the US now lead the overall standings with 57 points - one ahead of hosts New Zealand, who beat South Africa 29-7 in the bronze medal match. Sunday's runners-up lost to New Zealand in the season opener final in Dubai and went down to Fiji 29-15 in Cape Town.